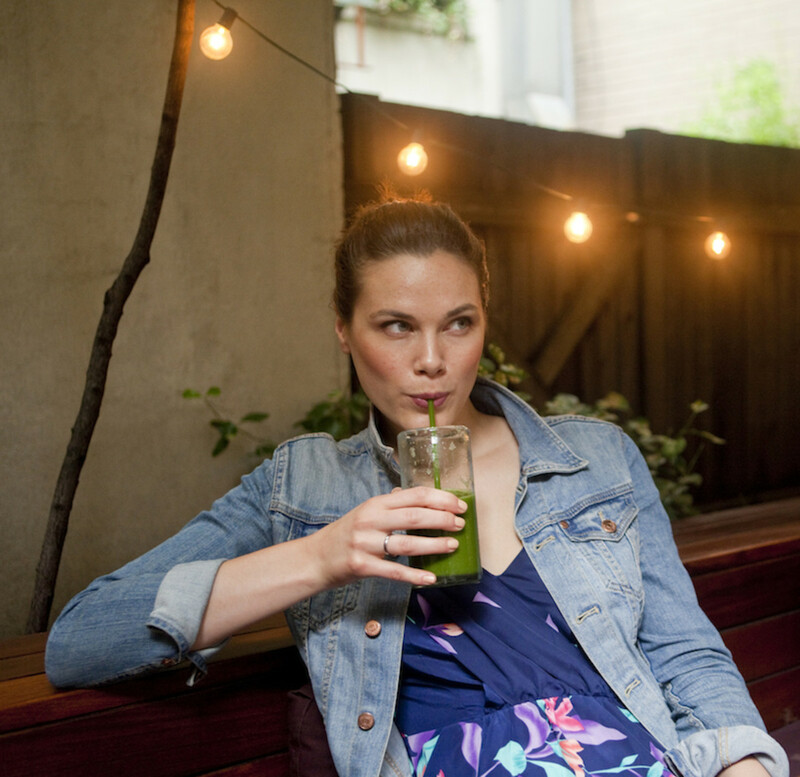 Drinking freshly made, organic juice is a great way to boost your body with lots of nutrients instantly. 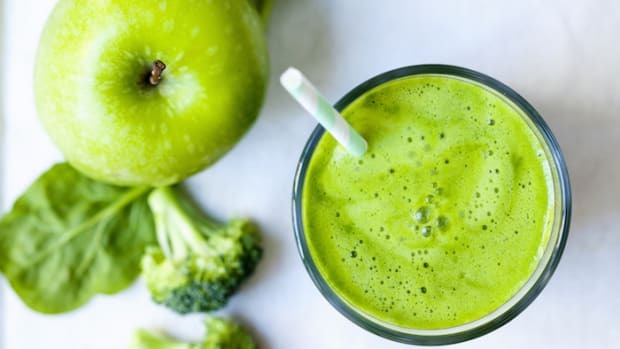 The definition of a juice is basically the liquid content of fruits and vegetables, so all the fiber, or pulp, is removed. Because of this the nutrients can absorbed easily and quickly without too much digestive effort. It’s like an IV multivitamin shot! And learning how to juice at home is the first step in getting all the benefits. 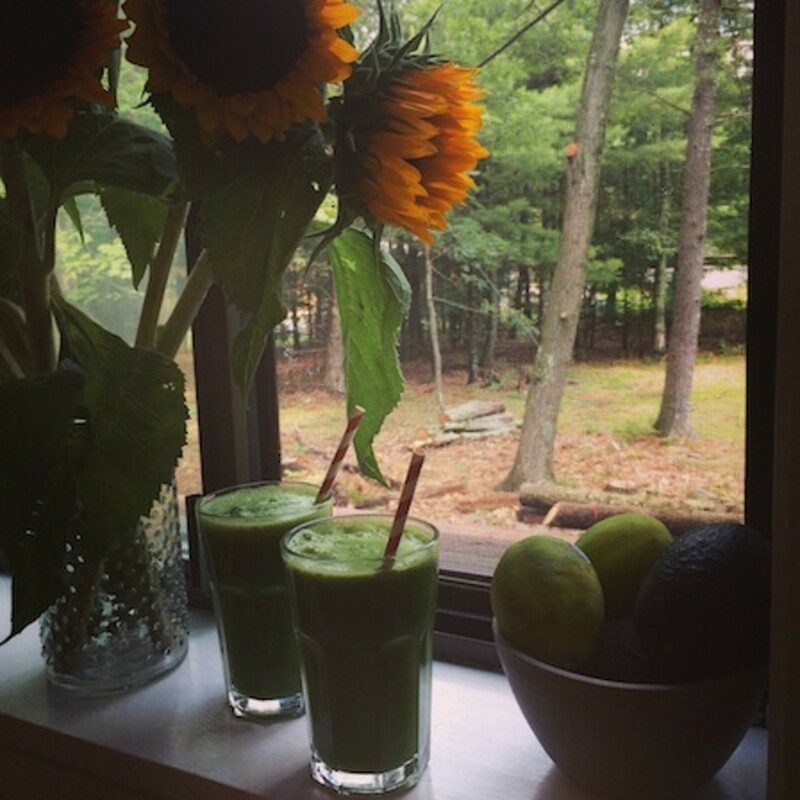 Basically, all you need is lots of fresh organic fruits and vegetables and a juicer. 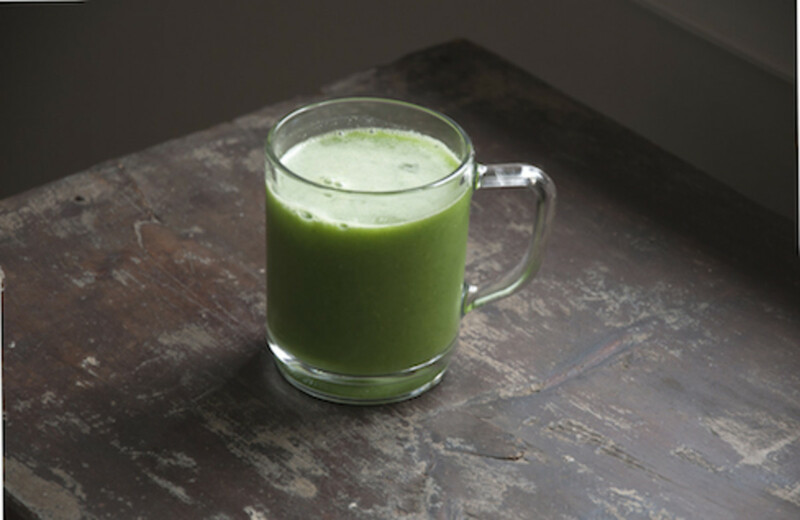 A juicer is different than a blender and actually extracts the juices from the produce and discards the pulp. A blender on the other end crushes and mixes the whole vegetables and fruits together and nothing gets left behind. There are lots of options out there in all price ranges and there are a few important things to consider. The first thing is the extraction technique. The two main options for a home-juicer are the centrifugal juicer vs. the masticating slow juicer. The centrifugal juicers tend to be less costly, are really fast and easier to clean. However, the extraction process can actually expose the juice to air and heat diminishing some of the nutrients and enzymes in the drink. The centrifugal process uses blades to finely chop up the produce and these blades generate heat, which destroys enzymes, and bring in air, which starts the oxidation process. 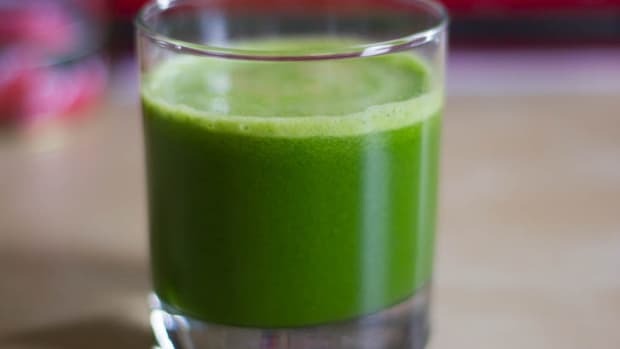 The slow juicers however, use what’s called a masticating process and works almost like a grinder or mortar and pestle, gently squeezing out the juices without creating heat or exposing it to air. It therefor also operates slower, so it does take a bit longer to make glass of juice. On the other end, it is more efficient in getting juice out of your fruits and vegetables so less food goes to waste. Basically this juicer squeezes more juice AND more nutrients out of the vegetables and fruits you feed it. When picking a juicer you also want to think about how much counter space you have, how complicated the juicer is to clean and assemble, and all that in relation to how often you think you’ll use it! Some juicers allow you to drop a whole apple into it, while other require more prep and chopping before juicing. 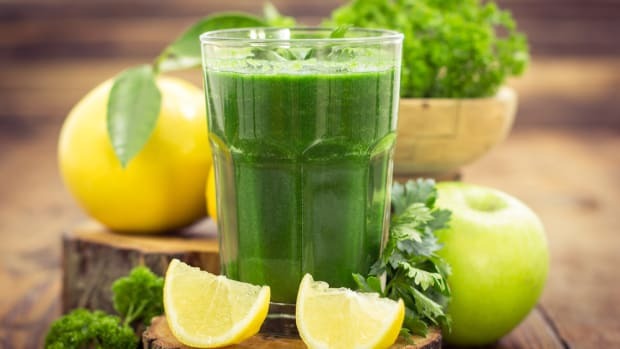 The bottom line is, if you know you’ll juice on most days and want the best quality juice with the most intact nutrients, a slow juicer that uses the masticating method is without a doubt the way to go. It’s what I use personally and I love it! 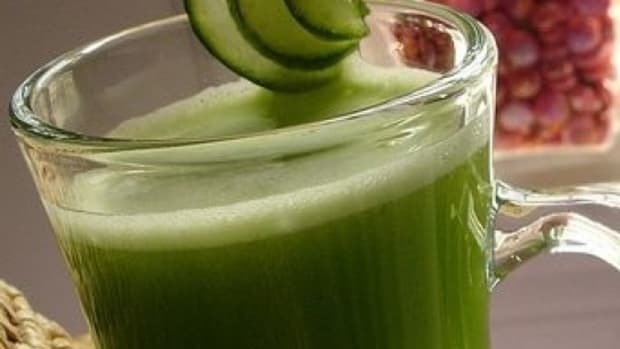 But, if you’re on a bit more of a budget and still new to juicing, looking for a quick and easy fix, a centrifugal juicer is a great starting point. Just make sure to drink your juice right away, even before you clean up, and you’ll still get lots of nutrients in you! 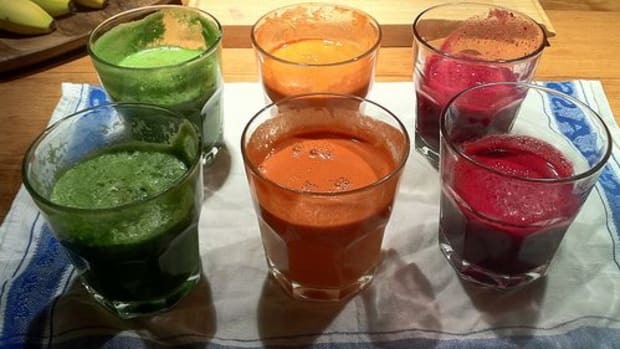 One glass of pure, fresh juice contains several pounds of vegetables and fruits. Because it is such an concentrated and large amount, it’s important to stick to as much organic produce as possible! You certainly don’t want to end up drinking a cocktail of pesticides every day. As you first begin your venture into juicing a highly recommend following some recipes. 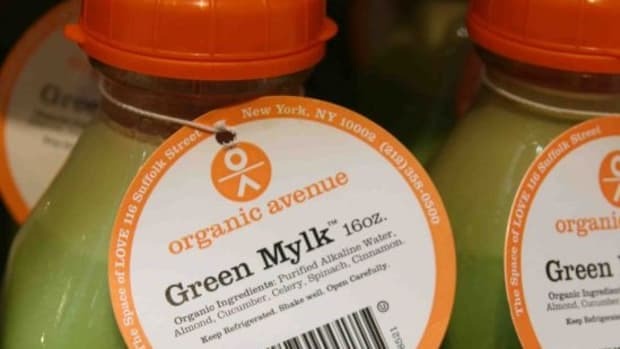 That way you know you’ll get a nutritious and delicious juice and wont have to waste any precious produce. Once you get the hang of things you can start experimenting with making your own mixes, using what you have on hand and incorporating as much fresh, local and seasonal ingredients as you like. It sure makes sense to include more hydrating and sweet vegetables and fruits in the summer and then stick to dark leafy greens, colorful root vegetables and warming spices like ginger in the fall and winter. When building your juice, stick to lots of green, water-containing vegetables as your base - think cucumber, celery and romaine lettuce. These will give you lots of hydrating, mineral-rich liquid. Then load on with the dark leafy greens like kale, Swiss chard, spinach etc. These don’t produce as much juice, but are really nutrient dense, alkalizing and supports the body’s detox function. Greens also promote glowing skin and provide uplifting and light energy. 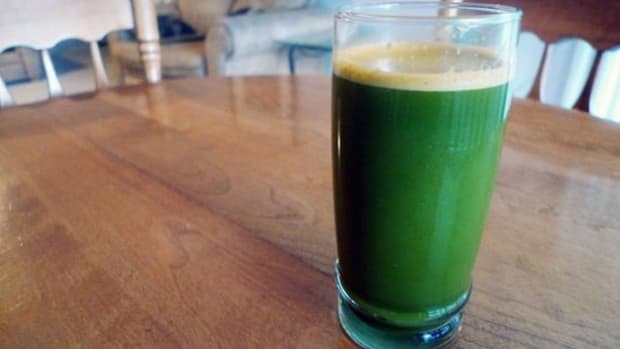 So, greens should generally make up the bulk of your juice! Then you want to add in some delicious flavor and medicinal benefits with fresh herbs. Try a little basil, mint, parsley or cilantro. To start, only use a small amount, as these are potent plants with strong flavor. Ginger, turmeric and burdock are great healing roots to add. Then throw in half a lime or lemon for a refreshing taste, some vitamin C and lots of cleansing benefits. 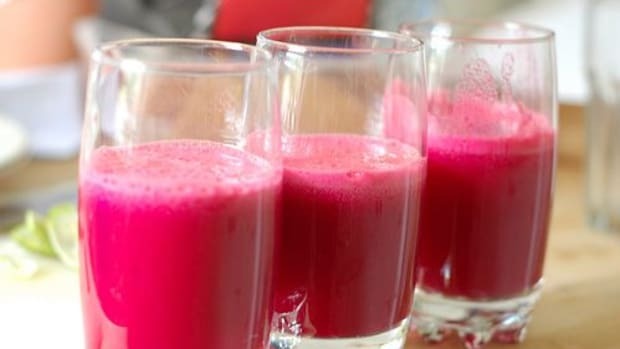 Root vegetables like carrot and beets are also great for juicing and add some earthy and sweet flavor, lots of antioxidants and nutrients and, off course, some pretty, bright color. Best of luck on your juicing adventure! Make sure to share what you know about how to juice at home with the rest of the Organic Authority readers in the comments below. Bio: Katrine van Wyk came to New York as a model. Her personal struggles with food sensitivities led her to studies at the Institute for Integrative Medicine. She is now a certified health coach, a wellness expert for MindBodyGreen.com, a health coach at Dr. Frank Lipman’s practice and a certified 200 RYT yoga teacher. She recently developed smoothie and juice recipes for The Juicery and is the author or “Best Green Drinks Ever” and the soon to be released “Best Green Eats Ever”. Visit her website http://katrinevanwyk.com and follow her on Twitter and Instagram and on Facebook.